Facebook said it has investigated thousands of apps and suspended 400 of them since a developer data leak scandal broke in March. That’s about double the number the company earlier said it had pulled. Facebook made the moves “due to concerns around the developers who built them or how the information people chose to share with the app may have been used — which we are now investigating in much greater depth,” the company said in a blog post Wednesday. 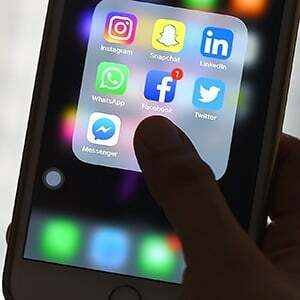 Four million people who chose to share their information with myPersonality, a personality quiz app that was mostly active prior to 2012, will be notified via their Facebook profiles, the social-media giant said. Facebook is ramping up privacy standards, especially with regard to developer relationships, after revelations earlier this year that Cambridge Analytica, a political consulting firm, obtained information on as many as 85 million Facebook users’ without their permission, through the maker of a personality app. That revelation led to tremendous public scrutiny of Facebook, including Chief Executive Officer Mark Zuckerberg’s testimony in Congress. Meanwhile, the company has had to deal with the reputation of one of its own apps. Facebook said Wednesday it removed its Onavo application from Apple’s app store, after Apple changed its rules to prohibit the kind of data collection that was being done by Onavo. The app, when installed, uses a virtual private network to scan internet activity, which let Facebook gain insight into the popularity of competing applications and make decisions about what kinds of products to buy or build. “With the latest update to our guidelines, we made it explicitly clear that apps should not collect information about which other apps are installed on a user’s device for the purposes of analytics or advertising or marketing and must make it clear what user data will be collected and how it will be used,” Apple said in a statement about Onavo. Facebook said it has always been clear about how the data collected by Onavo would be used.